So my other line of business is as a marketing consultant. And as such I’ve been driving down to San Diego once a month for a marketing “meet-up” with 50-60 other small business owners and entrepreneurs for about a year and a half now. And while there Friday morning, I took a stroll along the boardwalk in Mission Beach and ran across a homeowner with a house right on the beach. 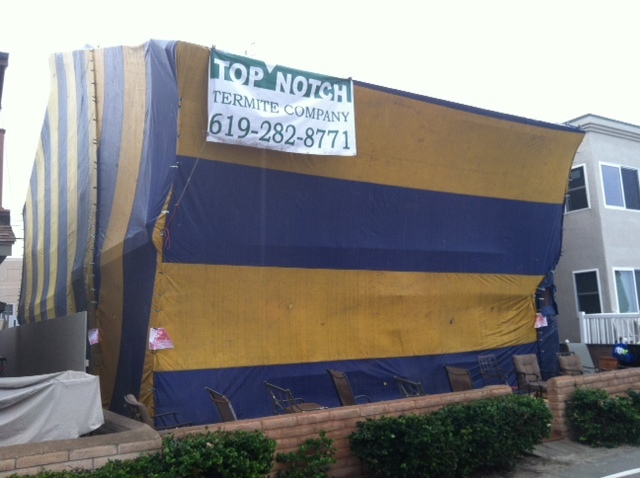 The termites responded that they really weren’t sure yet and had to “study” the issue first. And rather than call the exterminator immediately, the home owner decided to wait and see. Here’s what his beachfront house looks like today! Don’t wait. Recall them now! BEFORE they do the damage.